Lighting Hire, Disco, Band, Laser Hire, Exeter Devon. Hires collected on a Friday are to be returned on the following Monday - priced at one day for the weekend. All in one lighting solution, Two Derby Effects, Two Wash Lights, One Cluster Laser, four strobes, all on one easy to use bar. LED battery powered uplighters, which can run for up to 11 hours on a charge (no leads required). Great for outdoor uplighting of decor or trees etc. IP rated so weather proof. 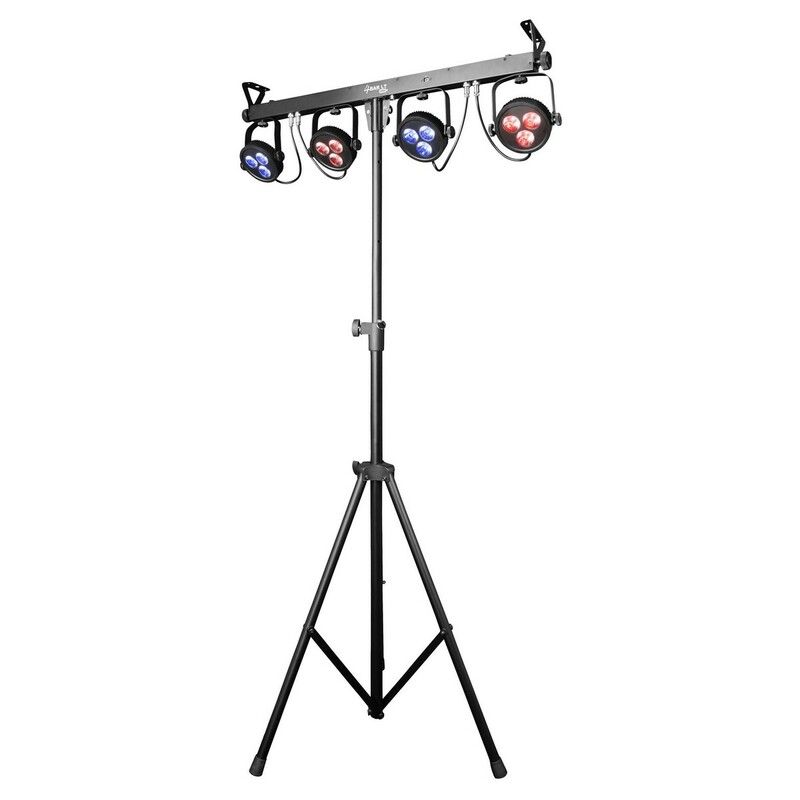 5 Operational modes: 4 x 10-Watt RGBAW+UV Dimmer Mode; Sound Active mode; Auto Run Mode (16 color change modes, 16 color fade modes, & 1 color/fade combo mode); Static Color mode; and DMX Controlled. (ADJ Element HEXIP). 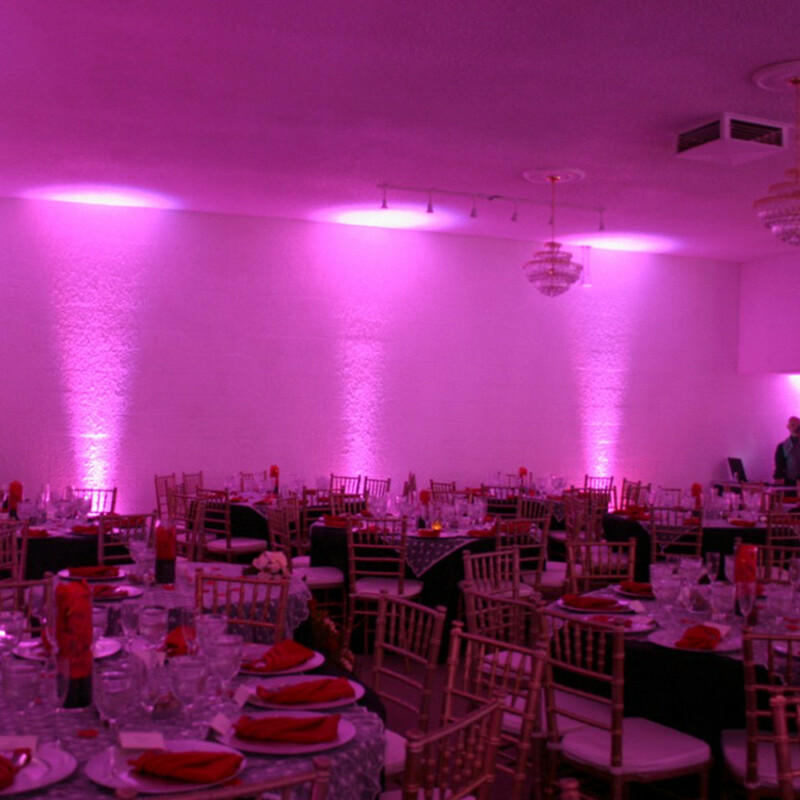 Adjustable beam and colour gels.